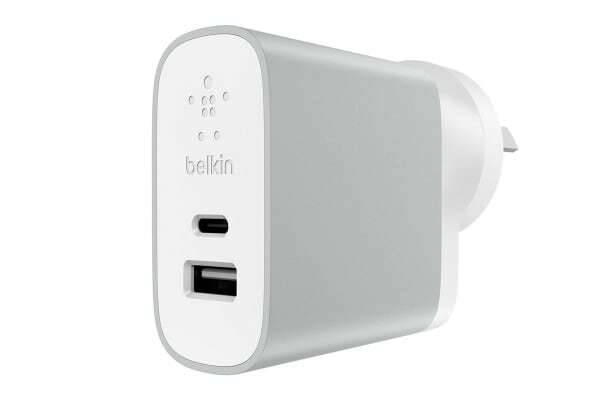 Charge a new USB-C smartphone and an existing USB-A device simultaneously with the 2-port, 27 Watt Belkin USB-C and USB-A Home Charger. With two fully-powered independent ports, 15 Watts delivers fast, optimal charging to your USB-C smartphone, while a guaranteed 12 Watt port ensures fast charging for your USB-A device. 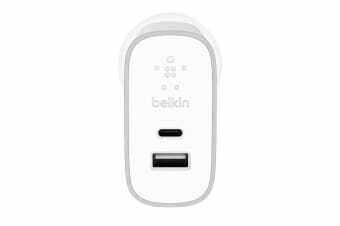 The Belkin USB-C and USB-A Home Charger is the perfect accompaniment to your new USB-C device, showing a commitment to new technology, without leaving legacy devices behind. The charger offers standard charging for larger USB-C devices such as tablets. The reversible USB-C port allows for easy connection as it’s impossible to plug in upside-down. 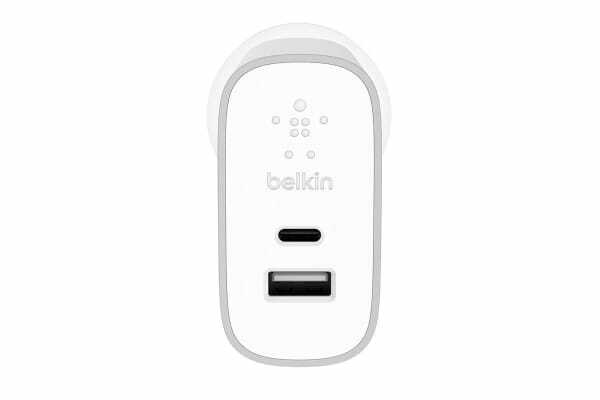 The universal USB-A port is paired with an internal chipset which automatically detects the connected device to deliver the right amount of power for optimal charging.